Carpal Index imaging for timing orthodontic and implant treatments. La Imaging offers Carpal index imaging for timing orthodontic and implant treatments. Carpal index is a specialized procedure where carpal bones in the wrist are observed to distinguish the degree of ossification in them. We use the results of this information to then further analyze the skeletal maturation of the individual. 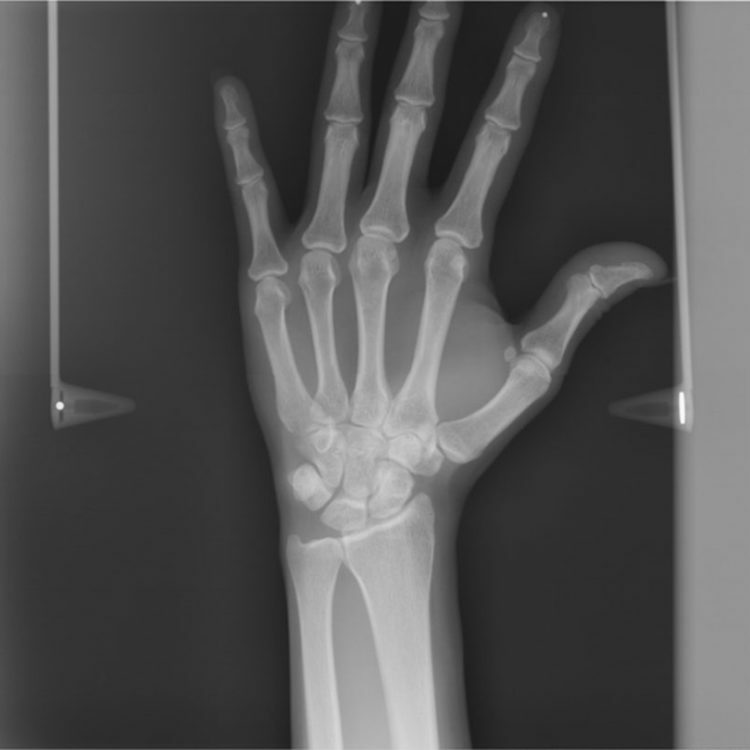 The degree of ossification of the carpal bones noted in radiographs of the wrist is a method of determining the state of skeletal maturation of the patient. A hand/wrist projection, or Carpal Index, is used to determine skeletal age and maturity of the patient which is important in timing orthodontic and implant treatments. Carpal Index maintains high standards when making sure these procedures are done accurately. Patients that generally get the Carpal Index are patients who either have carpal tunnel, or believe they are developing it. Carpal tunnel syndrome can cause tingling, numbness, weakness, or pain in the fingers or hand. Some people may have pain in their arm between their hand and their elbow. Symptoms most often occur in the thumb, index finger, middle finger, and half of the ring finger. If you have problems with your other fingers but your little finger is fine, this may be a sign that you have carpal tunnel syndrome. When coming in for a Carpal Index, it’s important to remember to wear loose fitting clothing, and be prepared to remove any metal objects such as jewelry, glasses, and piercings in order to avoid potential interference with the Carpal Index. Taking these precautions will result in the most accurate results for the examination.